Travis Witherspoon in action during the semi-finals of the Australian Baseball League between the Perth Heat and Canberra Cavalry at the Perth Harley Davidson Ballpark. Photographer: James Worsfold – SMP Images. 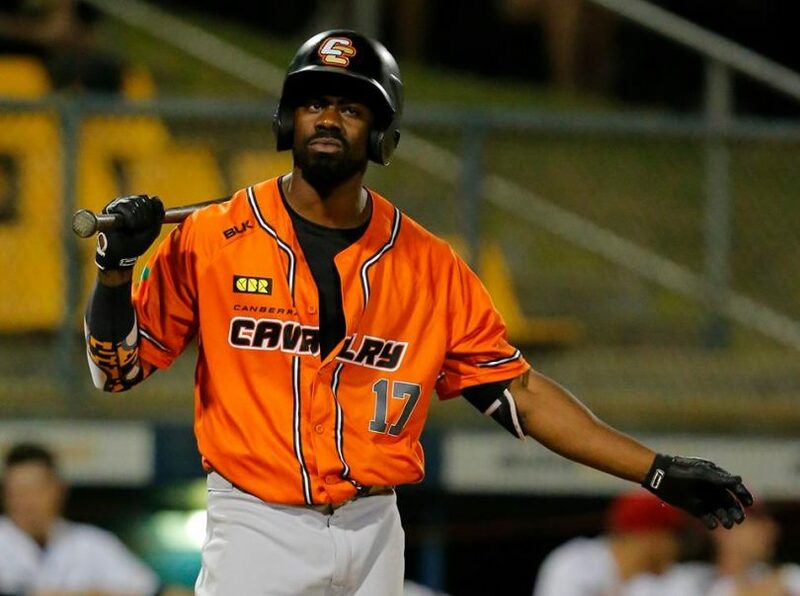 Canberra Cavalry is looking to avenge previous losses against the Brisbane Bandits in the 2018 Australian Baseball League Championship Series on Friday night after topping Perth 3-1 over the weekend. The Cavs will have a chance to bring the Claxton Shield back to the capitol for the first time since the 2012/2013 season but will have to defeat the Bandits, who finished the season as minor premiers. The Brisbane side eliminated the Cavalry from the finals last season and in their last outing, thrashed the home side with a convincing 12-2 win, leaving the Cavalry with a thirst for vengeance. After losing Friday night’s series opener against the Perth Heat 6-3, Canberra levelled the series on Saturday night with another 6-3 result. In an intense series decider on Sunday night, the Cavalry took a 1-0 lead in the first, courtesy of a David Kandilas, and never looked back. Cavalry’s starter Frank Gailey tossed 7 1/3 scoreless innings and Canberra’s offence chimed in when needed to complete a 2-1 semi-final series victory over the Heat at Perth Harley-Davidson Ballpark, as the Cavalry took the win 3-1. MIT Ballpark will host game one of the Championship series on Friday night (9 February) with the Bandits hosting game two and three on Saturday and Sunday if required. Jay Baum, the 2018 MVP for the Cavalry, said that the team was very confident going into the weekend. For more information and to buy your tickets to the ABL Championship Series, click here. Cavs' rotation of starters is better than Bandits', and it's their chance.